Current style Shauna Shiels/Doire Dress Designs platinum level dress made for Championship dancer. Only 9 months old in excellent condition. 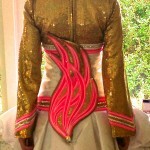 This dress is white with gold hologram sequins bolero and neon and light pink accent embroidery . 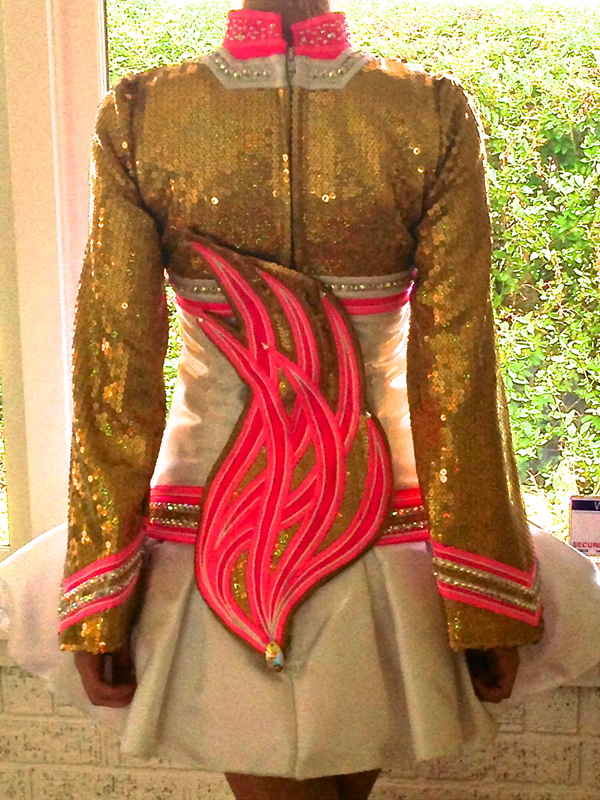 Worn by a 4′10″, petite 13 year old Championship dancer to Oireachtas and Nationals. This dress is adorned with approximately 600 AB crystals. Matching cape, headband & bloomers included.